We are two business students from La Rochelle Business School in France. Over the next six weeks we will be working and staying at the Portland Hotel in Buxton. The Portland Hotel has a comfortable, cosy lounge, a great place to relax after breakfast or after a long day’s walking in the Peak District. A feature of the lounge is its Trompe-l’oeil or ‘trick of the eye’ ‘library’ wallpaper. Many visitors are convinced at first sight that it is an authentic wall of books. As we are keen on shopping and reading we decided to find what the town had to offer as a retail experience and in particular a good book shop. Buxton is a small town, typical of the Peak district. Across the country there are now many towns and cities where their high streets are made up of all the same type of stores. The large corporate brands. Buxton is different. It has individual shops that offer personal service and character. 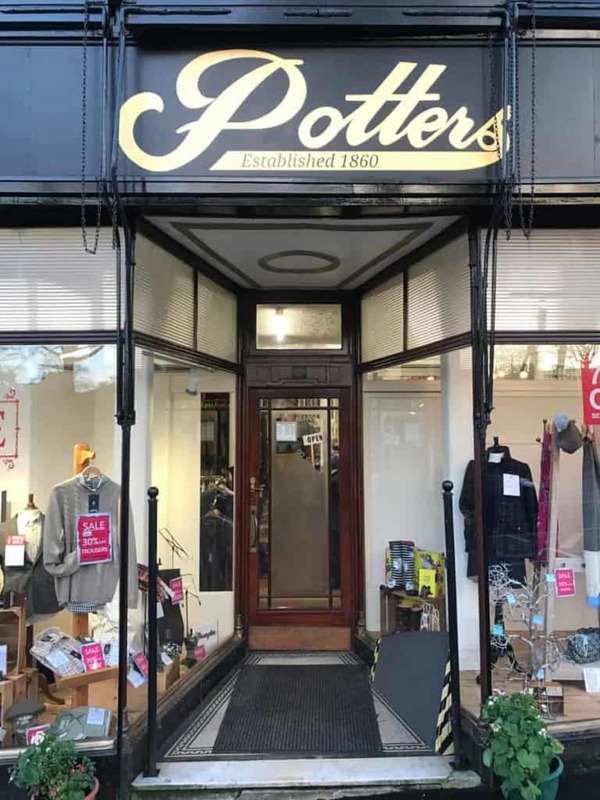 The first one we came across was Potters. Located on Terrace Road in the centre of the town this is a store that sells ladies wear, menswear and curtains. A traditional English shop that is worth a visit. The second store is based on Spring Gardens. This is Hargreaves and Sons. It sells Fine China, crystal and glass. 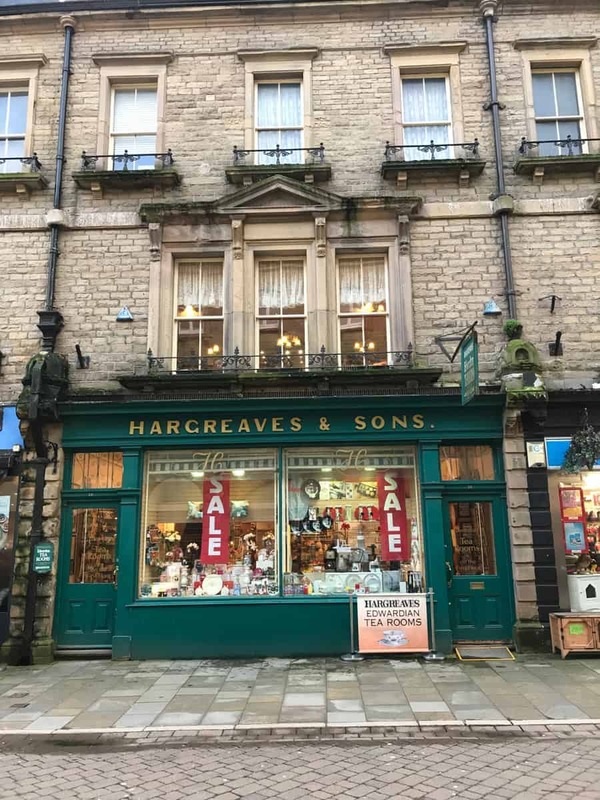 The shop is now run by the fourth generation of the Hargreaves family. It has expanded over the years, diversifying yet remaining true to Mrs Hargreaves original business plan to offer quality, value and variety. And finally we came across Scriveners Bookshop close to Market Place in the centre of Buxton. 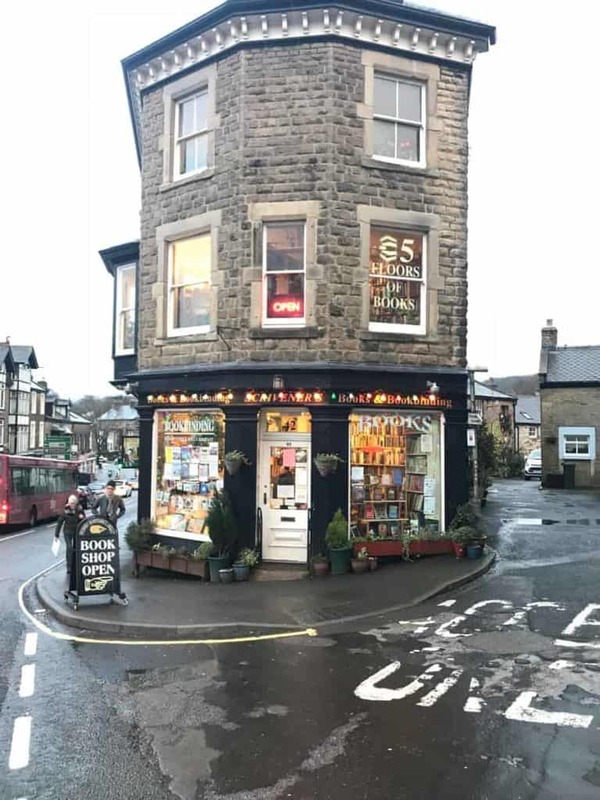 Formerly it was a toy store but in 1997 Mr Scrivener bought it and transformed it into an authentic bookstore. There are 6 floors of books!! These include – antiquarian, children’s books, Victorian novels, biographies, poetry, theatre sheet music, travel books, maps, medicines, sociology, religion, military, history, architecture, sport. There’s also a little Victorian ‘museum’ and a self service tea and coffee area. This is no ‘trick of the eye’. Books are donated by customers who are keen to see this amazing bookstore continue. Returning to the Portland Hotel it was pleasant to relax in the hotel lounge and look over the books we had purchased. 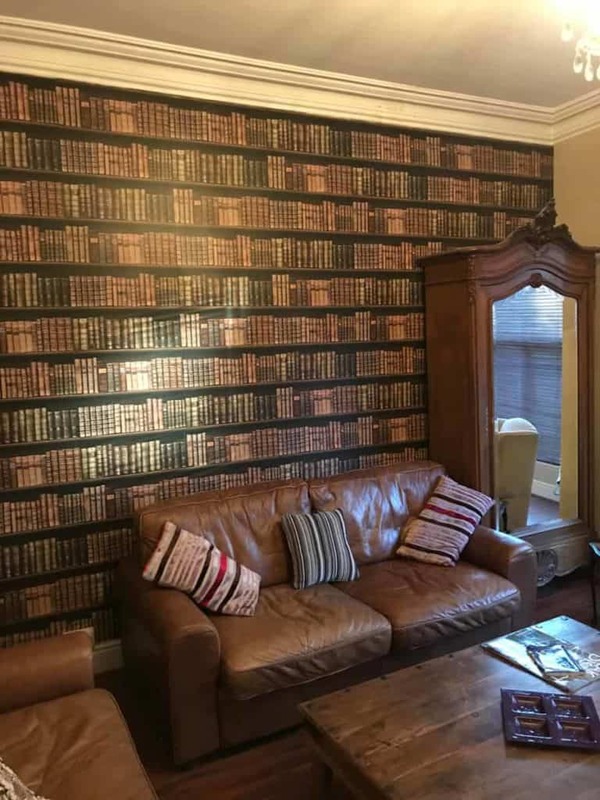 PHOTO OF PORTLAND HOTEL LOUNGE ‘LIBRARY WALL’. If you wish to comment or discuss please see our Facebook page.